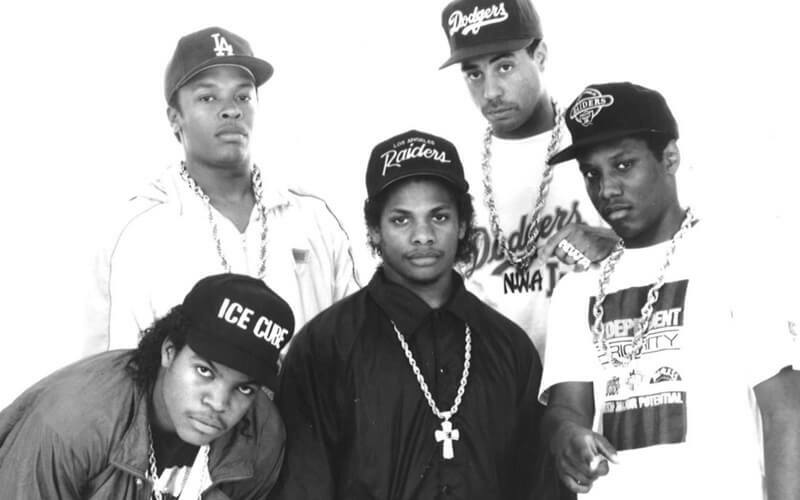 At this point, many are familiar with the tale of Dr. Dre, Ice Cube, Eazy-E, DJ Yella, and MC Ren as NWA. The film Straight Outta Compton was a huge success and brought a lot of positive attention to the Hip Hop genre. The film gave people who haven’t invested time in Hip Hop a chance to learn about a different perspective in American History. Still, there is a lot that went into the certified platinum song from NWA’s most famous album that is easy to overlook just relying upon the movie. This first line ominously prepares the listener for the most esteemed song in the Gangsta Rap subgenre. NWA rapped about only what they knew, which at the time was the streets. Knowledge of the streets meant not only surviving in southern Los Angeles but also thriving in the face of adversity. An ethos of unquestionable authenticity captivated listeners across the country; few knew the tales of life in one of California’s poorest neighborhoods. Ice Cube’s first verse starts the album with two lines that Complex Magazine ranked in the top 25 best opening lines in rap history. 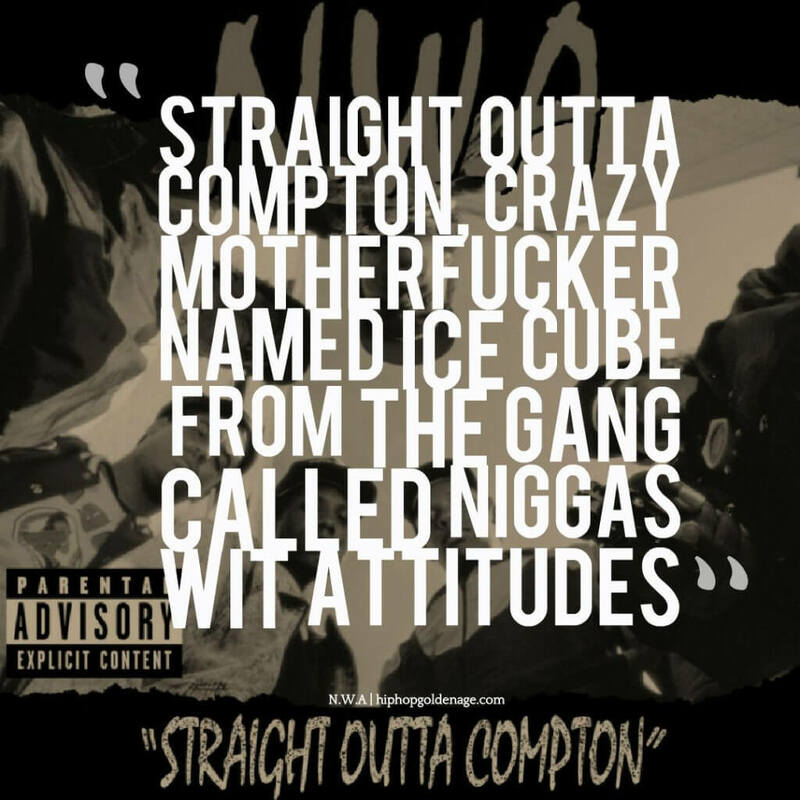 The narrative is essential to NWA’s style of storytelling and Ice Cube is the heart and soul of this musical style. The violent and criminal tones of the song reflect everyday life growing up in Compton, California where youth like Ice Cube were forced to fight to survive. Ice Cube had no issue with occasionally getting his hands dirty and, as shown in the film, did, in fact, smash up the offices of Priority Records with an aluminum baseball bat. This was done after not receiving the money owed to him for completing his first solo album; after his “convincing” he did eventually receive the advance. Verse 2 is by MC Ren, the only other real emcee in NWA besides Ice Cube, as Eazy-E did not write his lyrics. On this track, another artist produced by Dr. Dre called The D.O.C. wrote the lines that Eazy recited. Eazy E rapped verse 3 of the track and was revered as the front man for the group despite not actually writing the majority of the lyrics he recorded. As DJ Yella describes Eazy in an interview with VLADTV, “He wasn’t a rapper, he was just this short guy that made money on the streets.” In many ways, Eazy-E was a source of street knowledge in NWA and his charisma on the track as well as in person earned him the spotlight in much of NWA’s initial publicity. 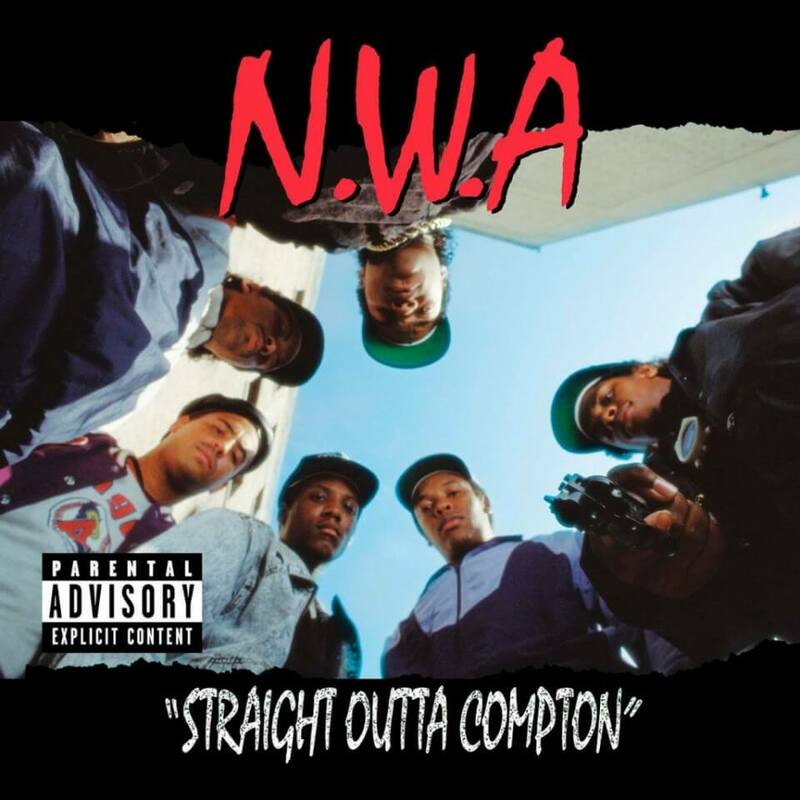 Critics of the song and album as a whole claim that the language NWA used in their music encouraged and glamorized violence, drug use, and sexism. As the group got bigger, having to explain the intended nature of their songs became a regular occurrence at interviews and live performances. The purpose was awareness; the purpose was exposing those who comfortably lived in nicer homes, unafraid to walk around their neighborhood that not everyone could be so fortunate. Crime was not something the members of NWA wished to glorify, but crime was a major factor in their upbringing and community. Ice Cube and Dr. Dre have supported causes including HIV/AIDS prevention, inner-city poverty, at-risk/disadvantaged youth, and unemployment/career support. Ice Cube has played an active role supporting, Chrysalis, a non-profit dedicated to helping those in dire situations become economically self-sufficient. While Dr. Dre recently used the royalty proceeds from his third solo album titled Compton, to build a performing arts center in the city. Offering an opportunity for Compton’s youth to stay out of trouble and learn the essential art of self-expression. 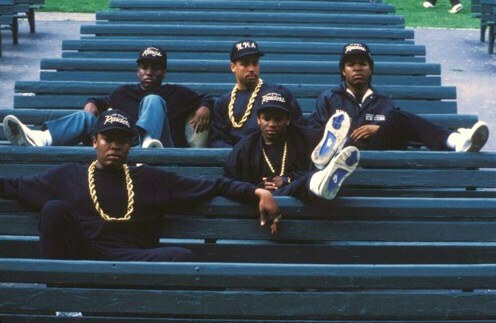 Straight Outta Compton as a record has continued to excite audiences 28 years later. The film has succeeded first and foremost in opening up younger generations to the cultural impact and historical importance that NWA brought into American music. Today anyone would be hard pressed to find a list of best Hip Hop anything that did not include a shout-out to NWA or the track/album Straight Outta Compton.